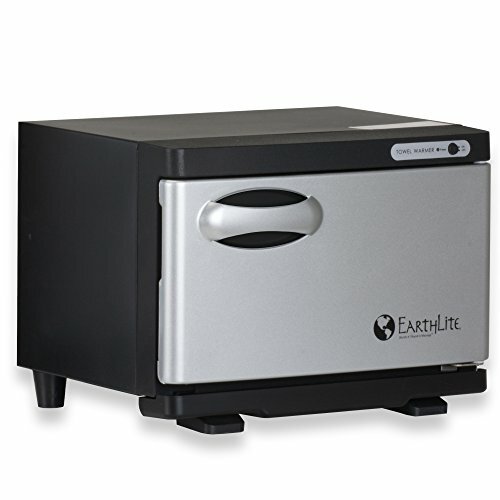 The EARTHLITE UV Sterilizer Hot Towel Warmer Cabinets are a significant improvement over existing models in the market. Hotter temperature setting shortens heat up time and provide warmer towels, faster. A UV sterilizer bulb kills germs and bacteria. EARTHLITE’s hot towel warmer cabinets feature a quality powder-coated aluminum skin for extended rust resistance. EARTHLITE also reinforces its doors from improved longevity and to minimize moisture and heat leaking. The UV sterilizers are UL listed, ensuring safety and reliability. Headquartered in Vista, California, the award winning EARTHLITE manufactures the highest quality massage and spa equipment in the world. Founded in 1987, Earthlite was chosen as the 2015 “Sustainable Manufacturer of the Year” by the non-profit Green Spa Network, and has won numerous awards including “Favorite Company for Manufacturer Support” by American Spa Magazine, for the past five years. ✔ MADE BY THE WORLD'S MOST TRUSTED BRAND IN MASSAGE: Founded in 1987, Earthlite is the world's largest and most trusted massage supplier, providing a 1 YEAR WARRANTY. If you have any questions about this product by Earthlite, contact us by completing and submitting the form below. If you are looking for a specif part number, please include it with your message.